INXIDE has collaborated with Eventsport and Swedish elite players to develop the next generation of bandy sticks, the RELEASE, reinforced with TeXtreme®. “We’re proud of how this next generation of sticks turned out. Our partnership with INXIDE and TeXtreme® has made it possible to move from the traditional wooden stick to a composite stick, which is quite new in bandy. It will not only help the players performance on the ice, it will also reduce the amount of sticks used during a season.” says Jens Öberg, CEO, Eventsport. TeXtreme® Spread Tow carbon reinforcements are a unique kind of composite reinforcement which helps brands who are seeking to reduce weight and improve mechanical properties of their products. Many sports have seen the use of TeXtreme® make an immediate and dominant impact on performance from Formula 1 racing, Americas Cup, advanced aerospace applications, bicycles and other sporting goods products. 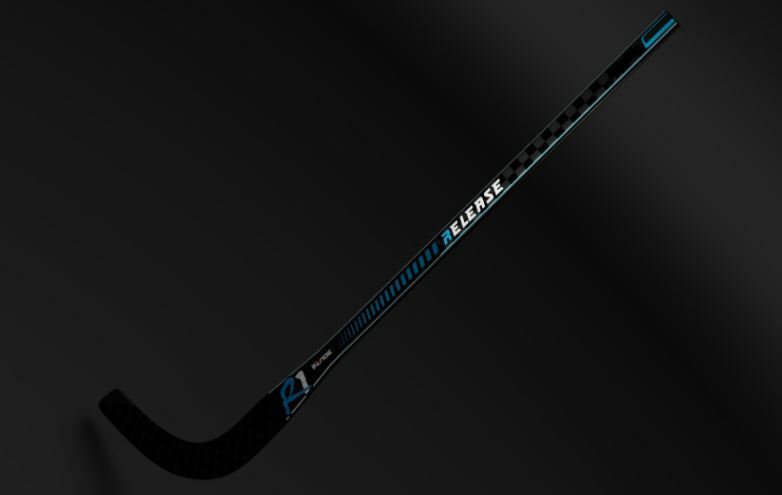 In addition, over 400 NHL players use sticks reinforced by this carbon fiber technology. “TeXtreme® is becoming the new standard carbon fiber reinforcement for high-end applications where low weight and performance is key. We’re proud to be a part of and help products to be at the fore front of innovation” says Henrik Blycker, CEO of Oxeon. Companies utilizing the TeXtreme® Technology achieve better properties on weight, stiffness, and strength on their composite products compared to those using other carbon fiber materials. The RELEASE stick will be available at retail in July 2018.